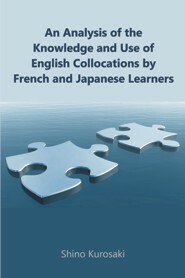 The present study investigated differences on the knowledge and use of collocations between French and Japanese learners with regard to: 1) L1 influence; and 2) combinability and transparency influence. The test materials included four categories of the lexical collocations: 1) verb + noun; 2) delexicalised verb + noun; 3) adjective + noun; and 4) adverb + adjective. The two types of tasks, Multiple Choice Question Tasks and Translation Tasks, were performed, and the learner corpora were also investigated in order to examine whether the learners from different L1 backgrounds demonstrate different results. Though L1 influence by both French and Japanese learners was demonstrated, the Japanese learners showed a greater L1 influence in the [adjective + noun] category than the French learners. The investigation also found that L1 influence does not necessarily result in accuracy of the collocations. With regard to the combinability and transparency influence, the results of the two types of tasks followed Kellerman’s (1978) remark. However, some contrasted results were also identified in learner corpus investigation. Thus the combinability and transparency influence were not necessarily identified. The results of the present study have a potential to improve teaching/learning of collocations through recognizing the learners’ tendencies of learning collocations. Winner of 2014 "Dissertation Excellence Award"
Dr. Shino Kurosaki obtained her B.A. and M.A. from International Christian University, Tokyo, and M.Ed. (TESOL) from Temple University, Japan Campus. Motivated by her residence in France and further study of French, she started her study on French and Japanese EFL learners’ collocation knowledge and use of English. She received her Ph.D. in applied linguistics from the University of London. She works as a lecturer in several universities in Japan. Her research interests include English as a Foreign Language, with the particular focus on vocabulary use and English for Academic Purposes.